Swiss-based Nestle, the world’s largest food and beverage company, will pay Starbucks Corp USD $7.15 billion for exclusive rights to sell the U.S. chain’s packaged coffees and teas around the world, tying a premium brand to Nestlé’s global distribution power. Nestlé, which already owns Nespresso and Taster’s Choice brands, will add Starbucks, Seattle’s Best Coffee, Starbucks Reserve, Teavana and Starbucks VIA to its beverage portfolio. The business has $2 billion in annual sales. The purchase is Nestlé’s latest move in its coffee space. Nestlé last year purchased a 68% stake in Blue Bottle Coffee and Chameleon Cold-Brew, an organic, fair-trade manufacturer of ready-to-drink coffee and coffee concentrate products. “This transaction is a significant step for our coffee business, Nestlé’s largest high-growth category,” said Mark Schneider, chief executive of Nestle. As part of the deal, which is to be completed by the end of 2018, some 500 Starbucks employees in Seattle will become Nestle staff. 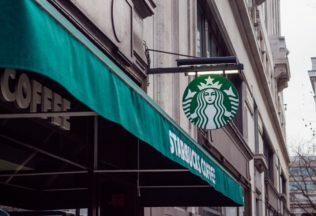 “This global coffee alliance will bring the Starbucks experience to the homes of millions more around the world through the reach and reputation of Nestle,” Starbucks chief executive Kevin Johnson said. For Nestle, which already owns the Nescafe and Nespresso brands, the agreement is part of its strategy to focus on promising business segments. Now one of the world’s largest restaurant chains, Starbucks has transitioned from explosive growth of its initial years to a steadier pace of expansion. This left some investors underwhelmed in recent quarters, with the shares rising less than 1 percent in 2018. Last year’s $425 million purchase by Nestle of a stake in Blue Bottle Coffee was an investment into the roast-and-ground segment as consumers become more sophisticated about coffee. Nestle also added niche brand Chameleon Cold-Brew in 2017 to expand its U.S portfolio. The Nestle move signals horizontal expansion to capture more categories of the same product in different market segments. It is an expansion that crosses national boundaries which include China and Asian countries where Starbucks have already established a strong presence and big name brand reputation in the eye of brand-conscious Asian consumers. It also reinforces that nestle have decided to focus on coffee at the expense of chocolate and confectionary. Bearing in mind the sell-off to Ferrero of Nestle’s U.S confectionery business. This move may have been influenced by the rising cost of cocoa making chocolate a premium priced product rather than a commodity. Confectionary segments are also facing the potential ire of the ‘anti sugar’ movement and prospective tax revenue-raising measures that are being threatened in numerous jurisdictions.